A system is only as strong as its weakest link, and in many cases (no pun intended) RAM is that weak link. Pairing slow memory with a fast CPU and GPU is going to cause you to lose out of some potential performance. On the other hand, putting super fast memory in a not-so-powerful system is just a waste of money. The important thing is to find that happy medium between price and performance. 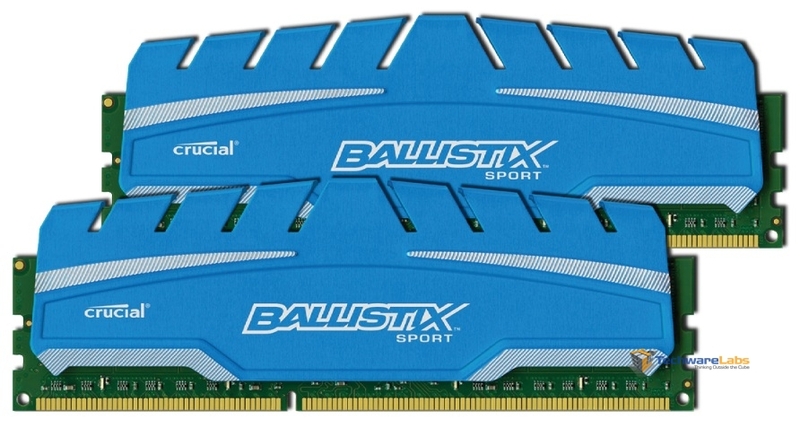 Today we are taking a look at Crucial’s happy medium, the Ballistix Sport XT 1866 MHz 4×4 GB kit. The Sport XT offers good speeds, sleek looks, and a fair price. At 1866 MHz there is plenty of speed to get things done, and being a 16 GB kit, you are very unlikely to ever run out of memory again. Read on to see how it performs with our A10-6800k.